The athletics program at the University of California, Berkeley, in, say, 2037 will barely resemble what you see today. And the hammer is already starting to fall. Cal owes its dire fortunes to a disastrous stadium-remodeling boondoggle, which the athletic department will be paying for until 2113. Right now, they owe $18 million per year, and that’s only on the interest payments. Once they start paying off the principal, that number will spike to $26 million annually and keep rising for a while. Cal is a big-time athletics program, with a bunch of national championships and a cadre of prominent alumni in the NFL, NBA, and Olympic sports, but it’s not so big that it can withstand this financial shitstorm without taking on water. It was $22 million in the red last year, which was the biggest loss in the nation, and that’s not going to improve, especially as both the football and men’s basketball teams (the only revenue-generating sports) look like they’ll be bad this year. They found that cutting sports would save Cal money in the immediate term, but could potentially cost the school a good chunk of its donor base. They warned of looming austerity, but weren’t quite ready to identify specific measures. New chancellor Carol Christ has come in guns blazing, promising a balanced budget by 2020 (the university is $110 million in debt) and a stabilization of the “corrosive” athletic department. Fittingly, Cal recently announced its new budget for the 2018 fiscal year, and it is laden with cuts across the board. Those reductions include, naturally, cuts to athletics, designed to reduce debt by $4.65 million. Part of that plan could be to start selling beer at games. The rest isn’t as fun. Freshmen will no longer get free season tickets to football games. Ominously, the plan identified potential long-term savings through “reductions in program scope” of up to $8 million per year, which seems like a sure sign that entire sports will be cut. Men’s soccer and men’s track and field might be among the first teams to go. In 2010, Cal moved to cut five teams, including their legendary rugby squad, but a last-gasp philanthropy boost saved them. This time around, Cal floated converting Edwards Stadium into more housing, and relocating the soccer and track teams...somewhere else. Cal’s campus is in a dense urban environment and there’s not exactly a bounty of available space. Roster size reductions are also on the table, since cutting sports outright would threaten the donor base. There are no easy answers. But the worry isn’t merely that Cal will lose a team or two and go forward with, say, 27 teams instead of the 30 it has now. The looming debt is bigger than that and the challenges Cal faces are far more existential. Even with the sponsorship deals Cal has recently signed, even if they sell tens of thousands of beers a game, even if they build housing on the Edwards Stadium site, Cal still won’t be in a comfortable position for the increasing debts it’ll owe when the principal payment on the stadium kicks in. This is just the start of the hard decisions. And the person making those will be someone other than Cal AD Mike Williams, who announced this week that he’ll be stepping down within the year. Williams helped seal a new apparel deal with Under Armour, made a football head coaching hire that fans seem excited about (Justin Wilcox), and nudged up Cal football’s previously horrid graduation rates. 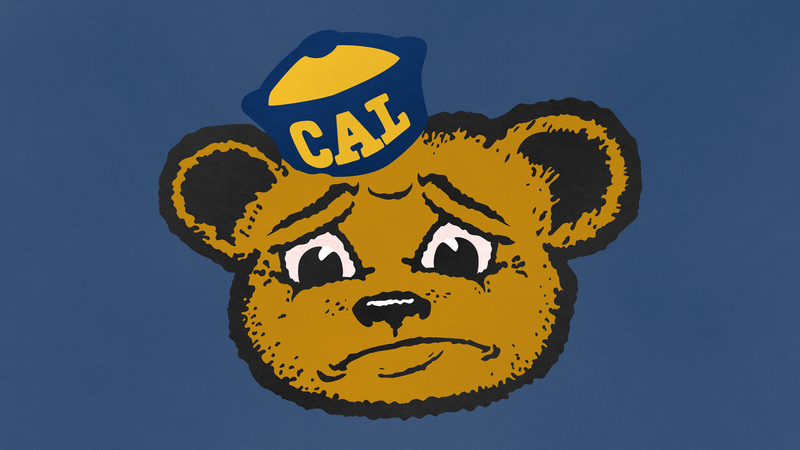 He did a good enough job to keep the gig if he wanted it, but even then, why would anyone want the Cal AD job? Cal needs to increase attendance for its cash cows and find a way to navigate a rapidly steepening financial cliff, so the AD’s job is now to try and drum up enthusiasm while simultaneously figuring out which sports will be sniped off. It’s a no-win situation, and the grimmest part is, the biggest losses are yet to come.